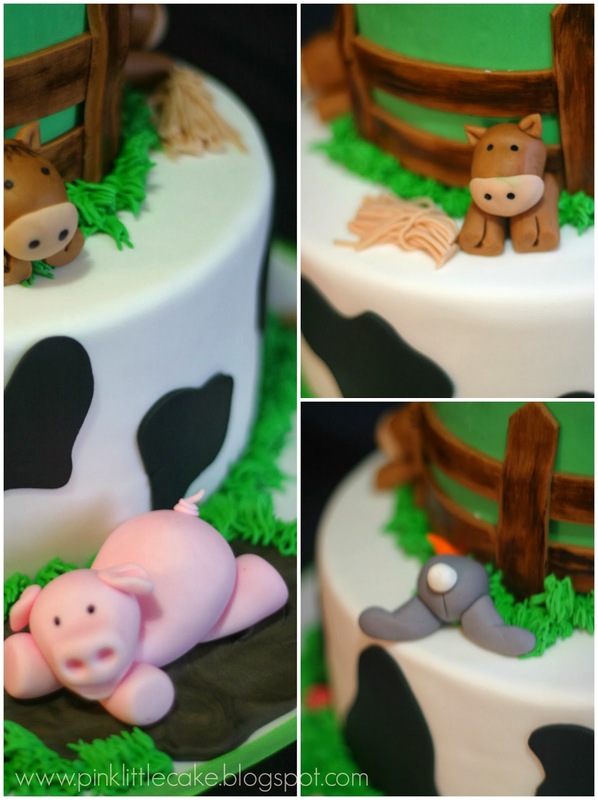 This farm theme cake was made for two little boys birthday party. Their mom is a great client of mine and she always plan the most amazing parties for her kids. All the little animals are made by me and the barn is made using rice crispy treats. These little two cakes were the smash cakes for the boys, they were so tiny and turned out so cute.